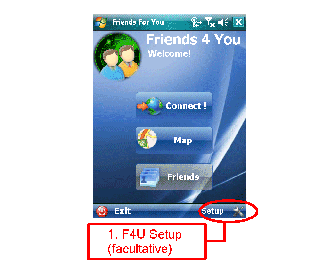 Friends For You: hai un cellulare WindowsMobile? 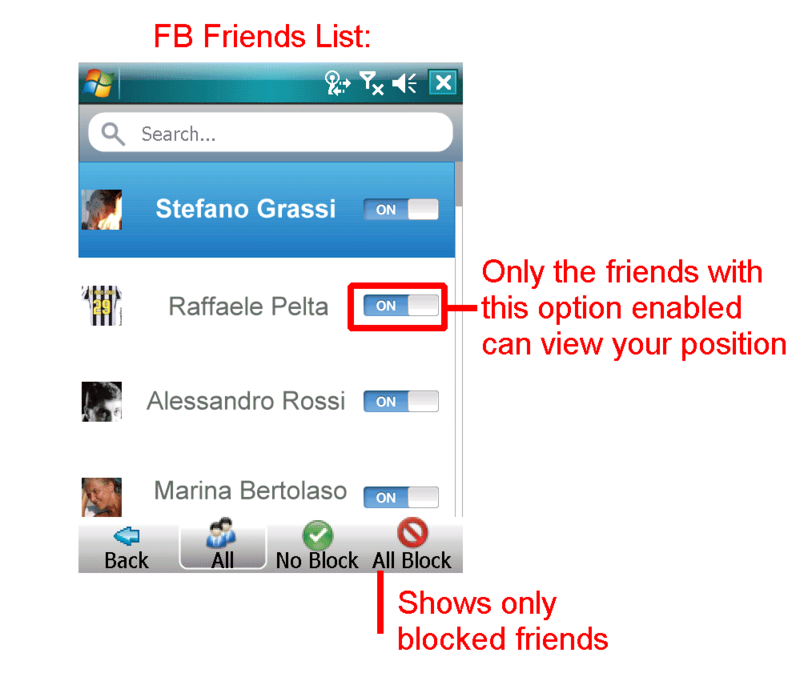 Con "Friends For You" saprai sempre dove sono i tuoi amici. 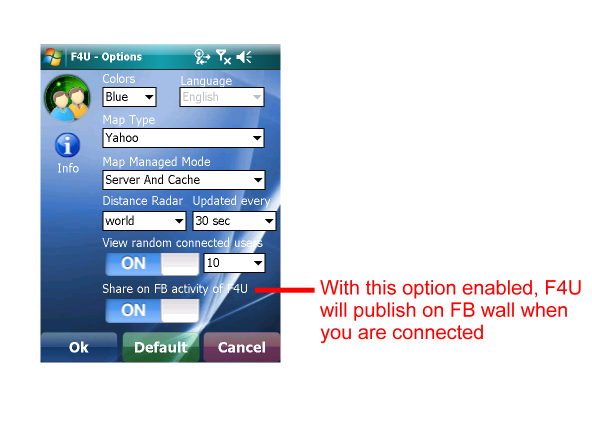 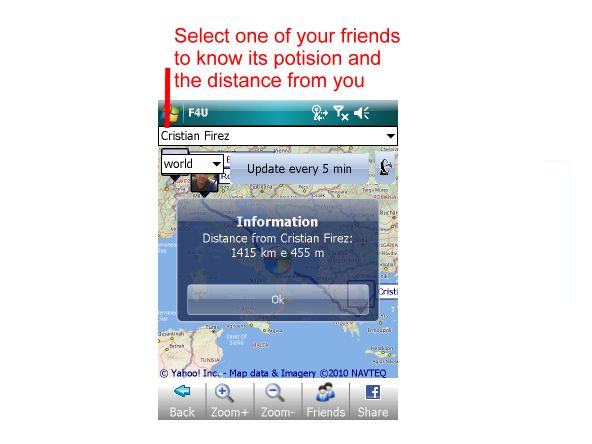 With Friends For You you'll always know where are your FB friends! 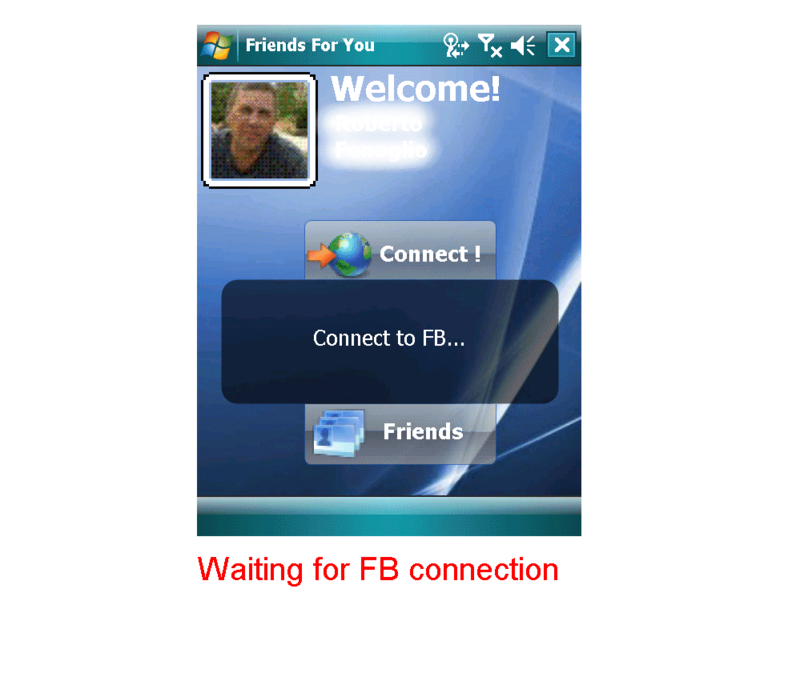 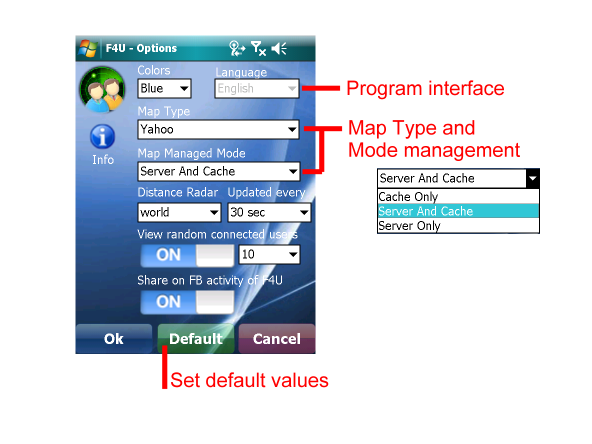 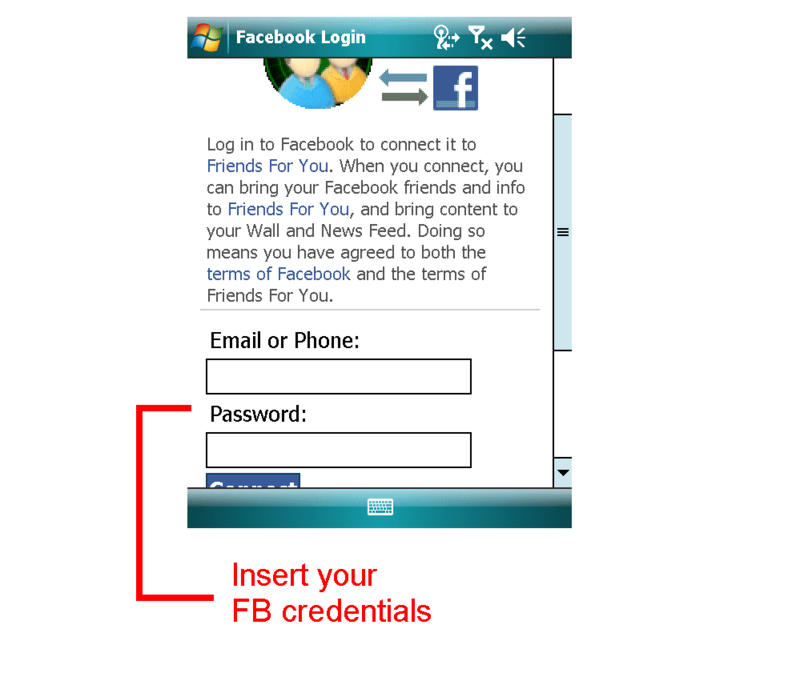 Click here to dowmload the application. 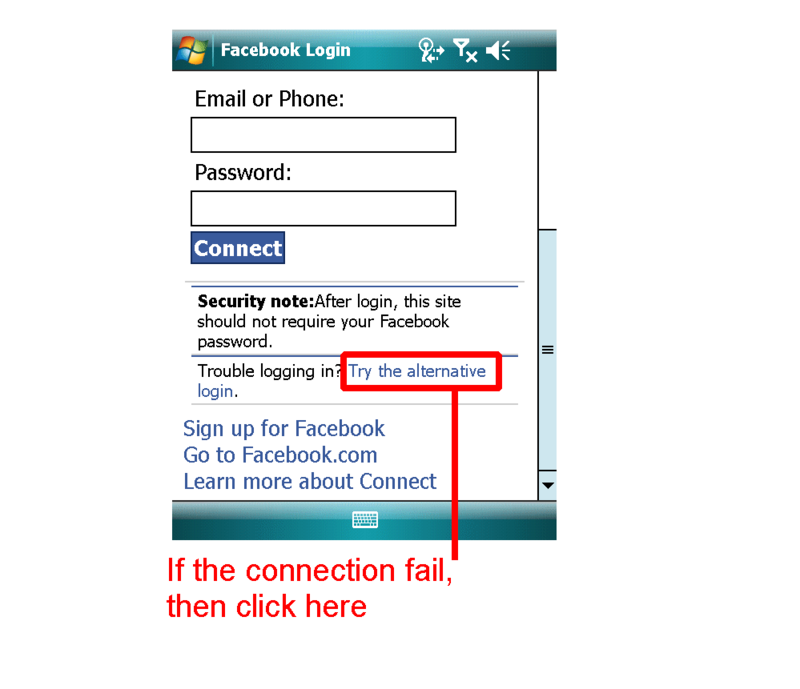 It's free and will be free forever! 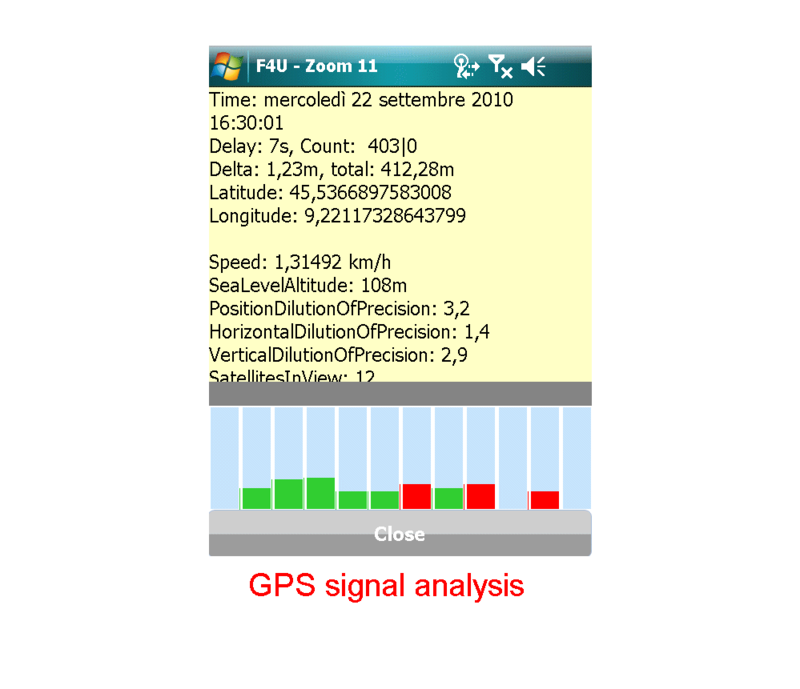 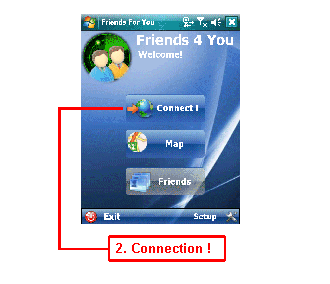 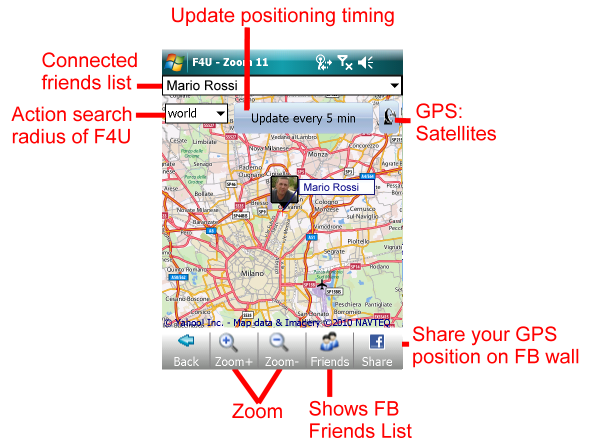 Once connected, you will see the following window with the GPS positioning of you and your friends. 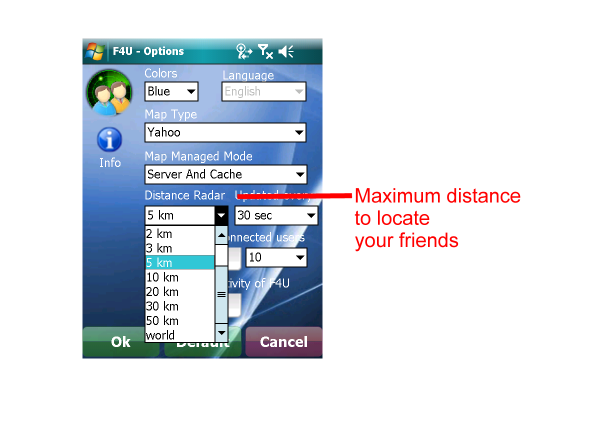 The Action Radius allows to include or exclude your friends according to their distance from you. 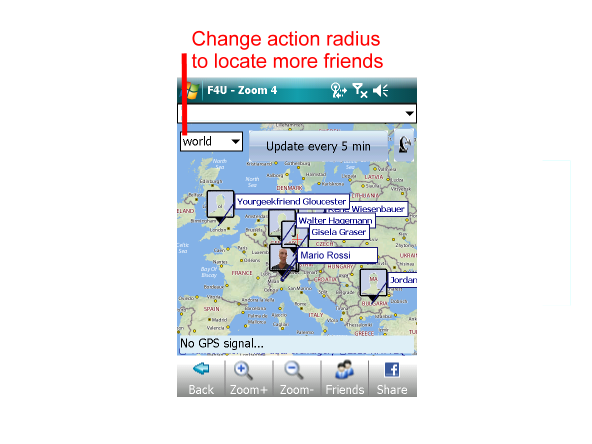 The "Update every ..." button informs you of the update rate, and pushing, force an immediate update of your position and that of your friends. 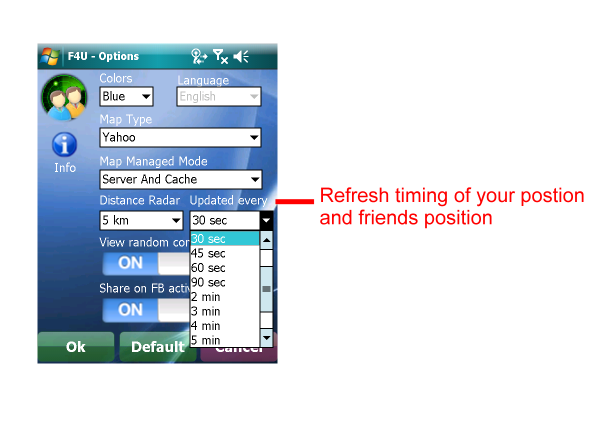 Both the Action Radius that the Update Time can be defined in the Setup window. 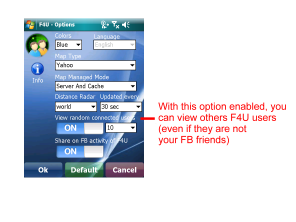 By default they are all active, but clicking on the state (ON / OFF) you can turn them off.Only active friends can see your position!